I can’t wait for this one. My beautiful bride is releasing her newest CD/DVD. It’s called Whisper of the Moon and it is nothing short of stunning. She will be joined by the amazing Tosca String Quartet, a special guest or two and ME! It’s at The Belmont at 305 W 6th St. Doors are at 7pm. Tickets are $10 you can get them here! See you there! 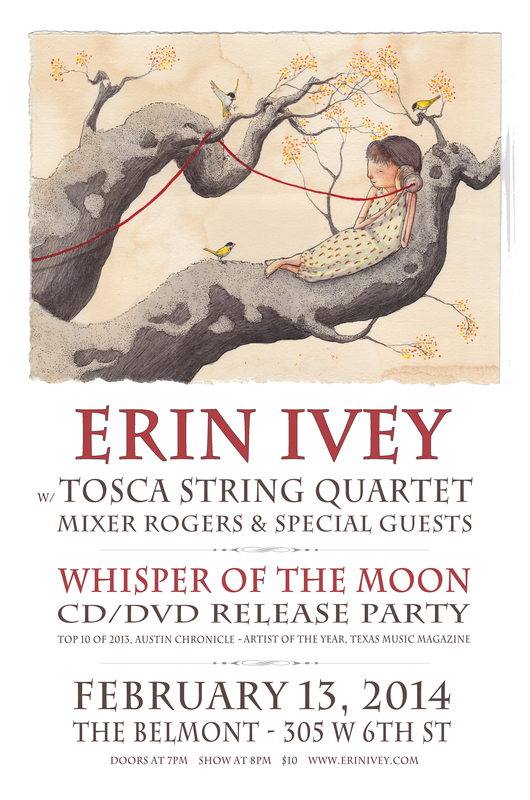 This entry was posted in Shows and tagged Austin, belmont, erin ivey, Mixer Rogers, Music, Party, Show, tosca, tosca string quartet, TX. Bookmark the permalink.